UFO SIGHTINGS DAILY: Cross Standing On Mars Near Fallen Roof Of Temple, Feb 29, 2016, Photos, UFO Sighting News. 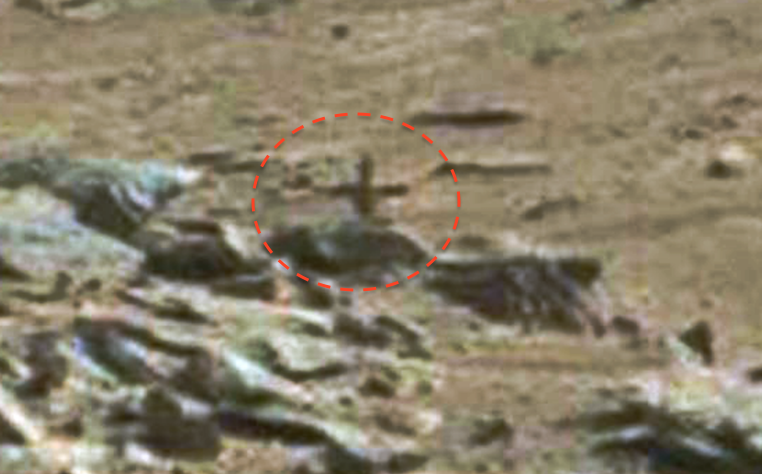 Cross Standing On Mars Near Fallen Roof Of Temple, Feb 29, 2016, Photos, UFO Sighting News. This is a very unusual find and probably a significant discovery for some readers here that are religious. 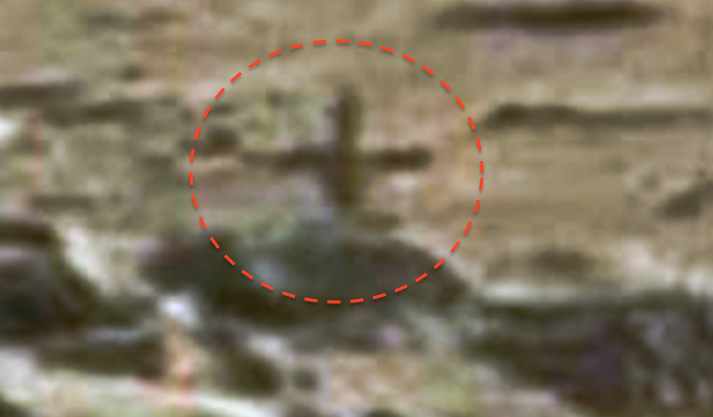 A cross was discovered on Mars by Christian Mace in France. 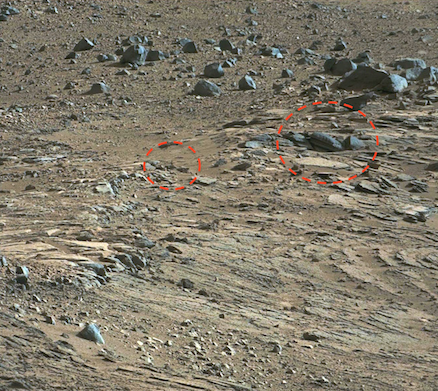 The cross is sitting on the other side of the rock hill, so the bottom portion of it is not visible, but if the rover took the photo from the others side, I would be big money that this is a full size cross. Near the cross there is the ledges of a beautifully carved roof that has since caved in. It has archways carved in its top and three thin layered sections. 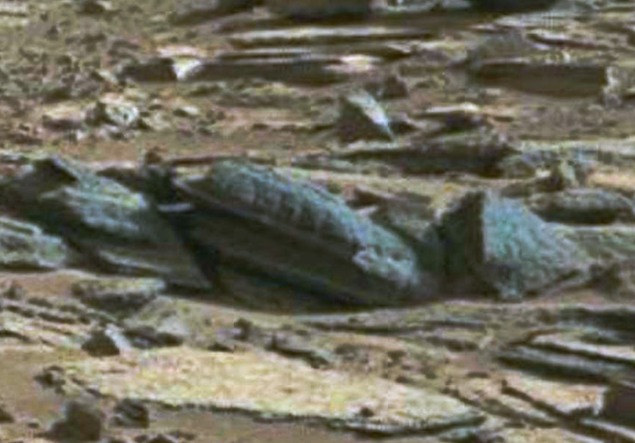 Cool Discovery by Christian, and please visit his French UFO site by clicking here.